I am not really vain.. Sure, I probably have a few jars and tubes of beauty products on my dresser but that does not mean that I am vain! I am not one of those women who can't leave the house without an inch of make-up on her face. In truth, I am one of those women who does not spend hours doing daily beauty regimen. But! Count me as one of those women who constantly seek new organic skin products. Right. There are probably countless of "organic" beauty soaps around but these soaps cost a fortune! I cannot very well shell out 450 Php for a soap that melts like any other soap! Now, there are supposedly "organic" soaps sold in the local grocery but I really doubt that they are organic as they are way too cheap! Thanks to Droplets of Nature's Beauty and Bright for its naturally formulated and reasonably-priced beauty soap. There are two kinds of these soaps and both have skin lightening properties. The first herbal soap is a combination skin lightening body soap and an anti-aging serum bar. The serum in this soap is composed of skin nutrients and essential oils, skin lightening and anti-aging ingredients. I am not really after lightening my skin but I am very much interested in keeping my skin "youthful"! 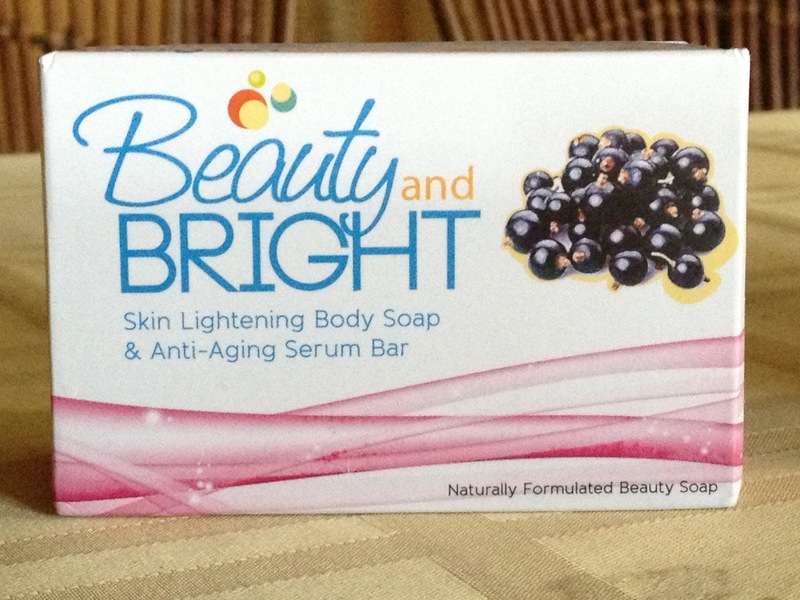 This anti-aging soap contains moringa extract, acai berry extract and lactic acid - three potent anti-aging ingredients. Skin lighteners in this soap are kojic acid, papaya and lemon extract. Use this soap like a regular soap. However, try to let the soap suds stay on your skin for at least 5 minutes. Rinse off and see (and feel) results after regular use. 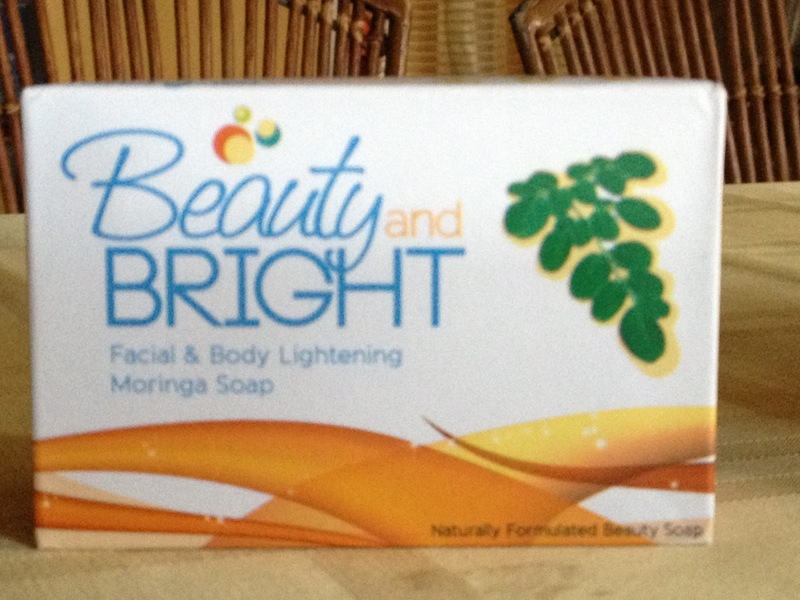 The second Beauty and Bright herbal soap is a more potent skin lightening organic soap with noharsh chemicals. This soap contains moringa extract, papaya, kojic acid, lactic acid and three very powerful natural oils - candeia tree oil, camella japonic oil and oxalis triangularis oil. The combination of these three oils inhibit the production of melanin, which is the root cause of skin darkening. The lactic acid moisturizes the skin while the moringa, papaya and kojic whitens the skin. Pegged at only 94 php and 114 php, these soaps are very affordable too. You can order your soap and other Droplets of Nature products HERE. My younger sister is planning to make her own organic soap, and prepare them for gift giving. She said that she will only user natural ingredient, that is no harmful chemicals.